We learn best by doing, and for the Nadel brothers of Doctor Pickle, they grew up doing every step of the pickle business while working for their father. "Some days he'd give us office work, and other days, we'd make boxes," explains Marc Nadel,"We've been around pickles our whole lives." Their father had learned the trade from his father. Now a third-generation company, they've always created their products as naturally as possible, often sourcing from local farms in New York and New Jersey. And while the generations may change, the time-soaked recipes do not. Originally their grandfather sold pickles right out of barrels on the street. Then for years, the Nadels shifted to sales to restaurants and delis. Fortunately they got back into the business of selling directly to customers about ten years ago through farmers markets. 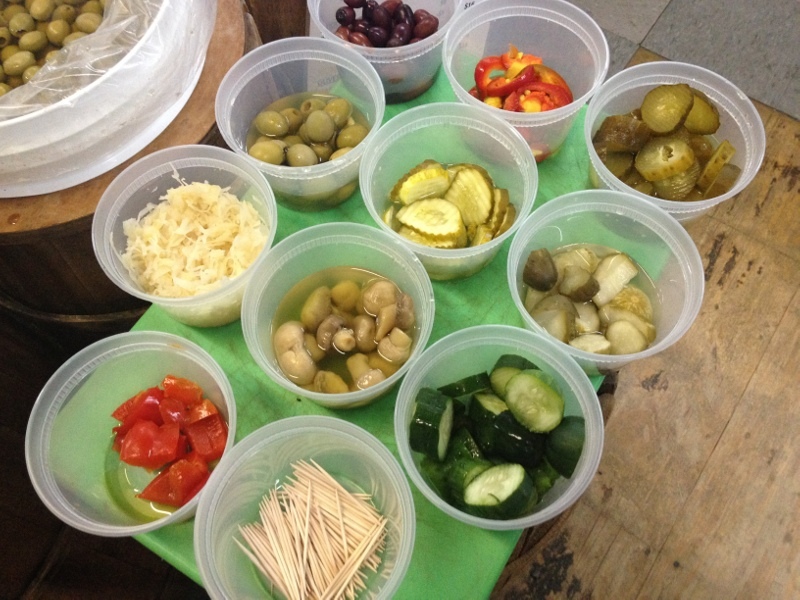 "The best part of the market is watching the little kids who love pickles. They will carry one around like a lollipop for hours," says Marc. Adults can have a child-like skip in their step around the brine, too. "The aroma of the garlic brings people back in time," explains Marc. For the Nadel brothers, it's an aroma they've marinated in all their lives.